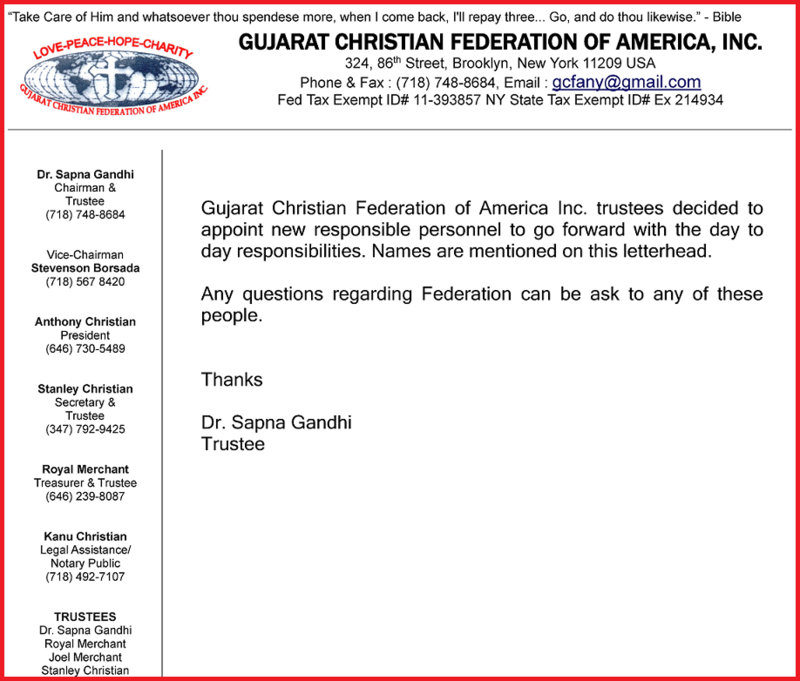 Gujarat Christian Federation of America, Inc. has selected a new committee. Congratulations to Gujarat Christian Federation of America, Inc. to select a new committee. The Federation needed a new and fresh and responsible team after the death of the founder and Chairman Mr. Linus Taylor. We wish the new committee all the best. May God bless them and guide them for the community work.